Will you be able to unravel the Professor Puzzle cube to form the dragon’s tail? 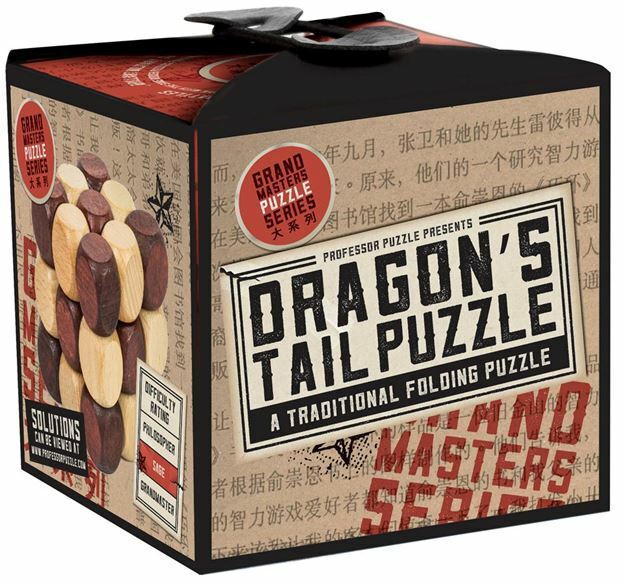 Named after the dragon’s tail-like shape the pieces make when folded out, this puzzle will put your mental agility to the test. The easy part is to untangle the twenty-seven wooden pieces. The hard part? Folding them back into a cube! Part of the Grand Masters range. Difficulty rating: Emperor. Distributed in New Zealand by Holdson.